Speaking of Ask Moxie, she's got a good post up today about how anyone with two or more kids manages to leave the house in a timely manner. 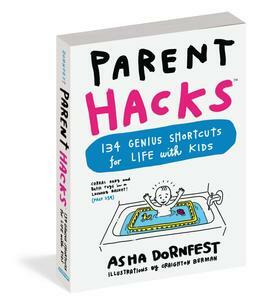 I have a feeling Moxie's readers and parenthackers are similarly generous and will share lots of tips (I've already posted mine in the comments). It is all about preparing ahead of time. If we have some major thing that we need to be at in the morning I will be getting everything ready the night before. I also try and keep up on my giant diaper bag making sure to keep everything in full supply at all times so that if I need to make a dash out the door everything is already on hand. I also try and not make any appointment that means we have to be out the door before 9:30 because that is as early as we can get out of the house without having to rush. I guess it depends on the age of the kids! Mine are almost 5 and 2, and getting them out the door on time takes lots of warning and a close eye on the time. It also takes iron will and the willingness to walk out the door with screaming children whose play has been interrupted. At 15 minutes to leave, we begin the process of putting shoes on (everything else is ready to go by then; lunches/snacks, extra clothes/uniforms if needed, my purse/coffee, etc.) With 15 minutes I can only pray that shoes will be chosen and put on and will not be too loose/too tight/too old/too new.